Today is an important day for PUNCH Powerglide: between July 2014 and today, a million 8HP automatic transmissions have been manufactured for its German customer and partner ZF, mainly intended to equip BMW vehicles. 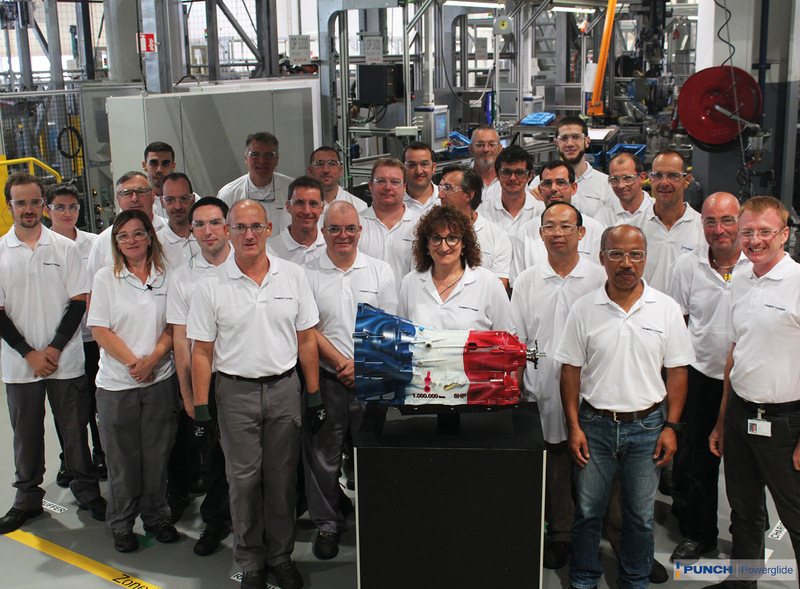 "It's a great day today," says Arnaud Baïlo, President of the company. "This millionth transmission symbolizes the implication of all employees ! But our ambition goes beyond : we will continue our development in 2019 with additional investments for new productions, innovate to find tomorrow’s solutions and continue to progress towards the Factory of the Future." All transmissions produced in Strasbourg are exported outside France. To highlight this particularity, the millionth transmission was painted by a Strasbourg artist in the colors of the French flag.